Iceland has a wonderful holiday tradition called Jólabókaflóð or the Yule Book Flood, which I want to incorporate into my family's Christmas tradition. I think this will be a great influence on my children in the long run but it could also be that I want to get Saga Land as soon as possible. The article is well worth the read. There is more Christmas stuff with The Witches of Winter... wow the middle ages was harsh. Also I'm quite excited to see John Scalzi’s Old Man’s War being adapted as a movie. I loved this series and would highly recommend that you read it, especially if you like old school space operas. 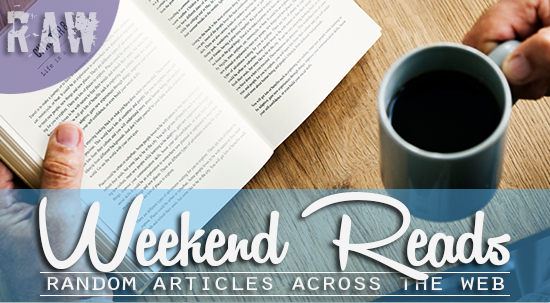 Kick off your weekend by grabbing your favourite beverage, finding a comfy spot, and reading of the following articles. The coziest of holiday traditions and a great cure for the aforementioned “Christmas insomnia,” Iceland’s “Yule book flood” has caught on outside of its country of origin in recent years once the internet got wind of it. These last few years, Krampus has broken into the American zeitgeist. Truly, though, it’s women—or rather female deities—who have long ruled Yule. Hailing from the older, colder countries of Austria and Iceland with their own fascinating companions, characters such as Perchta and Gryla both punished and rewarded adults and children during Christmas time for centuries before Santa Claus came to town. Read on about these winter witches and decide for yourself if these ladies should be our leads across the annual finish line. Ever heard of a wimmelbilderbuch, grimoire, or sammelband? Maybe you've visited a xylotheque? If that makes sense, congratulations: You know your obscure archival lingo. Deadline reports that Netflix has acquired the movie rights to Old Man’s War, the first novel in John Scalzi’s space opera series of the same name. While previously in development over the last decade as a movie with Paramount and then as a television series with Syfy, the novel has now found a home at Netflix as an original film.